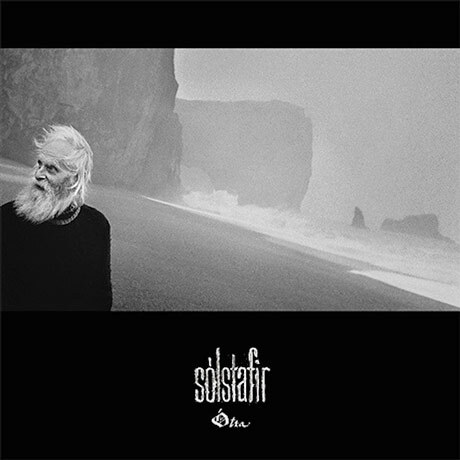 Ótta is a comfortable evolution for Sólstafir. Long evoking a heavier version of Sigur Rós' high drama, the Icelandic foursome have all but eschewed the violence of previous efforts here, opting for a cleaner approach that feels very much a thematic continuation of 2011's Svartir Sandar. Drenched in melancholy, their sonic palette is used to great effect without relying on distortion. While they remain Iceland's gloomiest, there's a distinct kinship with the future-retro of bands like Beastmilk and Savages. All but abandoning the grinding metallic hell of 2002's Black Death, they've continued the introspective tradition of Kold. Alternating between the Manchester sludge of Joy Division and the oceanic swells of Mogwai, they're arguably at their best here on tracks like "Miðdegi" and "Náttmál."